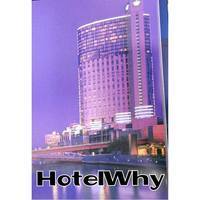 Once you’ve researched a few hotels and their rates, check out the hotel’s website directly. Go to Google or any other search engine, type the name of that hotel and look for the images, services, and rates. Often there is a section available at the hotel’s website where they have got the “deals” and “coupons” to attract customers. Look for some of the best deals in newspapers and money saving websites available out there. You might save some cash if you can find a cheap hotel deal. It's better to search over the internet for the coupon websites as they keep updating their data on daily basis and even hotel marketing teams approach them to add their upcoming and ongoing deals. You can easily compare the prices of different hotels at these types of websites with or without coupons. Many banks offer credit cards with reward points to their loyal customers when you use their services. Check out for your credit card and bank if they’ve got any hotel points accumulated for the hotel rooms totally free of cost. If you’re a PayPal user, then you must also keep an eye on it as it also provides their customers with exciting deals if they make payment via PayPal. The location is one of the most prominent things which you must consider while choosing your hotel room. Whether you are on a business trip or a family trip, picking up a good hotel location for your trip will on make you wise. Try to choose the hotel which is in the mid of the city from where you can even attend your meetings and visit the picnic spots with fewer travel costs. Seek out for employment benefits in your company if they provide travel perks to their employees. If not, then search your phonebook, your Facebook friend list, and search for people who are associated either directly or indirectly with any hotel company or an airline. Many travel companies provide amazing perks to their employees and their relatives from where you can avail huge savings like free hotel rooms too. Mostly the check-in/out time of hotels are set between 11 a.m. – 2 pm. Choose the flight timings that save your full-day charge and you land somewhere near to the check in time. If you enter the room at early morning, they’ll charge you full for a quarter day. If you are planning to stay for long, the best option is to get a Wi-Fi service from the hotel in which you’re planning to stay. The era has changed and you can now use Skype, WhatsApp or any other service to make calls and messages instead of providing an opportunity to your data provider to charge you the extra amount in the name of international roaming. With internet connectivity, you can even watch your favorite channels through their websites instead of watching local television channels which are of no use. There is no shame in negotiation. If you are booking a room through hotel reception, you must at least try your luck once to ask from receptionist if they can provide any further discounts so that you can save some more money. If you're booking it online, call them once to bargain. Sometimes the deals are recently introduced which aren’t even uploaded on websites and brochures but only known to the staff members. Visiting off-season has got various perks.It's a game of economics here where the price of hotel rooms fluctuates depending on the demand. Choose the season when there is less inflow of tourists and a mid of the week would be a plus point as the hotel management would be glad to provide an empty hotel room to any customer in offseason or during mid of the week. If you have purchased a whole package from the hotel which includes free breakfast, lunch, and dinner. It's better to avail it in total. Generally, the hotel checkout timings reside between 11 a.m. to 2 p.m. If you’re checking out early, they won’t pity you and will charge you for the full day. You must demand a lunchbox if you have a flight to catch and want to leave early.